Other information. If you use our website or apps, we may collect information about the browser and device you’re using, your IP address, your location, the site you came from, the site you visit when you leave us, and how you used or didn’t use our site or app. We may collect this using technology such as GPS and Wi-Fi. We use information to respond to your requests or questions. For example, we might use your information to confirm your registration for an event or contest. You may give us your friend’s information, for example via our referral service to tell a friend about our website or to purchase a gift card. We will only use your friend’s information to provide services you requested. Your friend may contact us to ask us to delete their information. We use information for marketing purposes. For example, we might send you information about special promotions or offers. We might also tell you about new features or products. These might be our own offers or products, or third-party offers or products we think you might find interesting. Or, for example, if you buy tickets from us we’ll enroll you in our newsletter. To learn about your choices for these communications, read the choices section below. You can opt out of receiving our marketing emails. To stop receiving our promotional emails follow the instructions in any marketing email you get from us. You can also change your preferences in your account. It may take about ten days to process your request. Even if you opt out of getting marketing emails, we will still be sure to send you transactional messages. For example, we may still contact you about your orders. Mention in your email that you are making a “California Shine the Light” inquiry. We will respond within 30 days. If you click on one of those links, you will be taken to websites we do not control. This Policy does not apply to the privacy practices of those websites. Read the privacy policies of other websites carefully. We are not responsible for these third party sites. Our site may also serve third- party content that contains their own cookies or tracking technologies. The Digital Advertising Alliance also offers a tool for opting out of the collection of cross-app data on a mobile device for interest-based advertising. 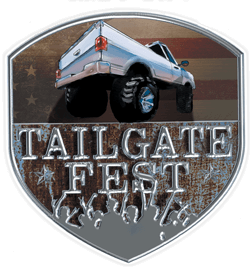 © 2018 Tailgate Fest, LLC. All rights reserved.